Hawaii Volcanoes National Park is located on the big island of Hawaii and offers an experience unlike any you are likely to find anywhere else in the world. If you have ever marveled at natures beauty, been curious about how the islands formed, or simply wish to see something truly unique set aside a few hours on your vacation for this trip. You will not be disappointed. Hawaii Volcanoes National Park is located about thirty miles from Hilo and ninety-six miles from Kona so it is an easy drive that won’t wear you down. The Kilauea visitor center and Jaggar Bookstore are each open about eight hours each day and are stops you need to make to start and end your visit. At the visitor center, it is suggested you take time to watch the twenty-minute film “Born of fire- Born of the sea” which provides some excellent information concerning the arrival of Polynesians to the island and their adaptation to their new environment. The Jaggar Bookstore on the way out will give you the chance to buy souvenirs of all sorts to help commemorate your visit. Before hopping in your car and making the trip it is essential you first check the status of the park. As you are visiting an active and dormant volcano nature works on its own schedule. There are times when part of the park is closed down and others when the entire park is closed due to safety issues. This information is easily attainable either through your concierge, a call to the park, or most usually it is listed in the newspaper. Even if there is no “Significant” volcanic activity air quality is a major concern as sulfur dioxide emissions are dangerous, and this is the usual reason the park experiences closures. Assuming everything is safe and the full park is open it is a good idea to plan on spending five or more hours at the park to really take advantage of its full benefits, although a quick visit of an hour or so can certainly be done as well. If you are lucky you may get to see some actual lava flows! If you have a limited amount of time the best way to spend it is by making the Crater Rim drive which is about eleven miles long and while provide you some breathtaking views. The morning that you plan on going to the park, it is vital that you call the park in order to get the most current weather and lava flow advisories. Remember you are visiting a volcano and you should be aware of any conditions that could turn your trip from memorable into terrifying. Make sure you bring sunscreen (the reflection off of the black lava fields will get you even if you wear a hat) and wear appropriate clothing: No flip-flops or sandals if you plan on hiking and a windbreaker or a warmer layer that you can slip on; the summit of the volcano can be chilly and windy. If you plan on sticking around until dusk, to watch the golden glow of lava empty into the ocean long after the sun has disappeared, make sure you bring flashlights to find your way back to your transportation. For current weather updates visit this page. Dress in layers for the park and be prepared for rain. We have been caught in a few torrential downpours while visiting the park. Bring food and water with you to the park. Once you are past the Volcano House there are little to no places to find a snack or water. If you plan on hiking within the park make sure you are wearing sturdy hiking boots. The lava can be very uneven and rough to hike on. You can download or print current park brochures including maps, driving guides, day hikes, campground info, and trail guides on this page. Crater Rim Drive between Jaggar Museum and the Chain of Craters Road junction is currently closed due to dangerous volcanic gases from Halema‘uma‘u Crater. There are no services (water, gasoline, or food) on Chain of Craters road. How much does it cost to visit Hawaii Volcanoes National Park? How do I get to Hawaii Volcanoes National Park? From Kailua-Kona: 96 miles southeast on Highway 11 (2 to 2 1/2 hour drive), or 125 miles through Waimea and Hilo via highways 19 and 11 (2 1/2 to 3 hours). 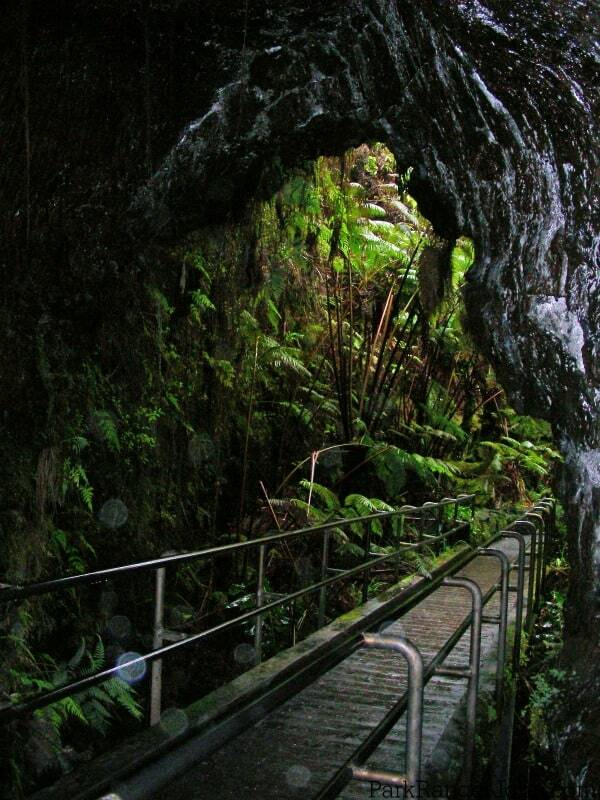 There is no public transportation available within Volcanoes National Park. 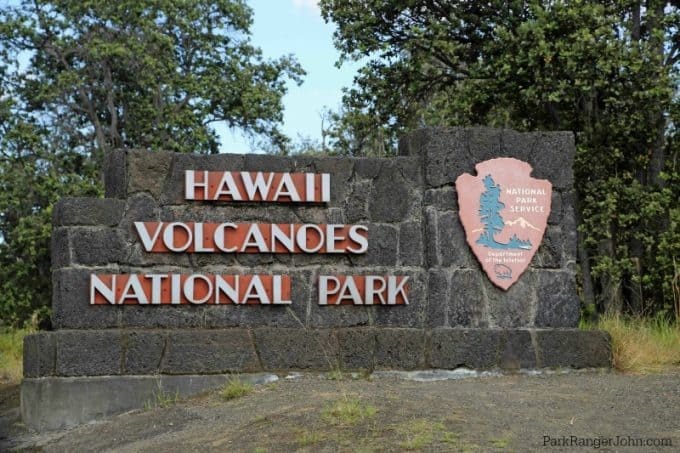 Where are the Hawaii Volcanoes National Park Visitor Centers? This visitor center is a great place to stop for the latest information on the current eruption, hiking information, things to do and the daily schedule of ranger-led activities. The featured film, “Born of Fire, Born of the Sea”, is shown on-the-hour in the visitor center auditorium, starting at 9:00 a.m. with the last showing at 4:00 p.m.
Twice a day at 11:30 a.m. and 2:30 p.m., the 1959 eruption video of Kīlauea Iki is featured in the auditorium. Open from 10:00 a.m. to 8:00 p.m. daily. Both visitor centers have a store and souvenirs available. They are also the place to stop for your National Park stamps. Where can I find out about staying/camping in Hawaii Volcanoes National Park? 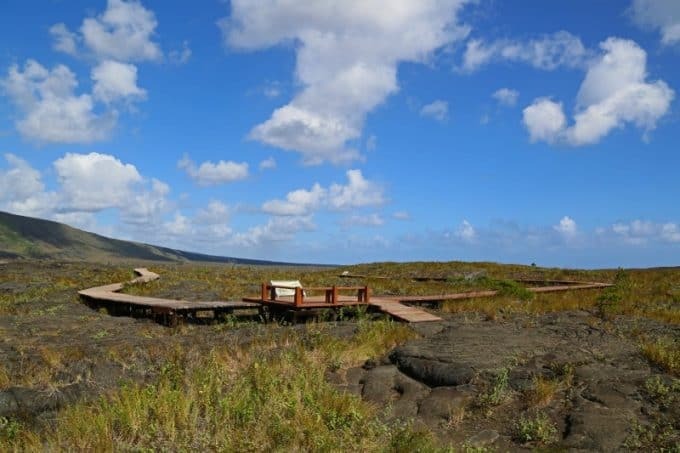 To learn more about lodging within the Hawaii Volcanoes National Park lodging including the Volcano House visit this page. 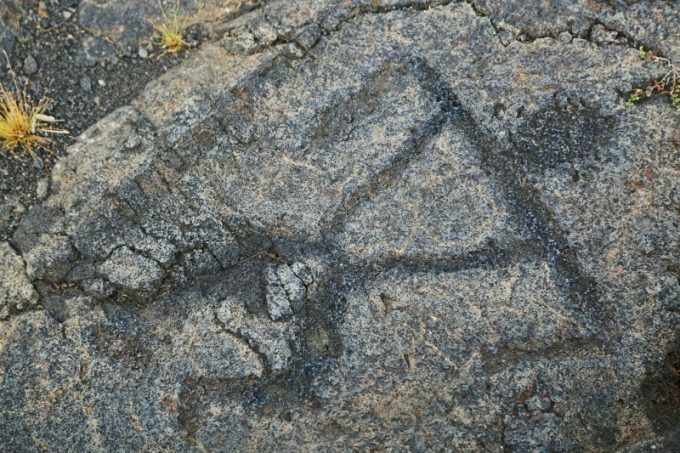 There are two drive-in campgrounds in Hawaiʻi Volcanoes National Park, Nāmakanipaio, and Kulanaokuaiki. Nāmakanipaio Campground has restrooms with water and moderately accessible campsites. Kulanaokuaiki Campground has an accessible toilet, but no water. 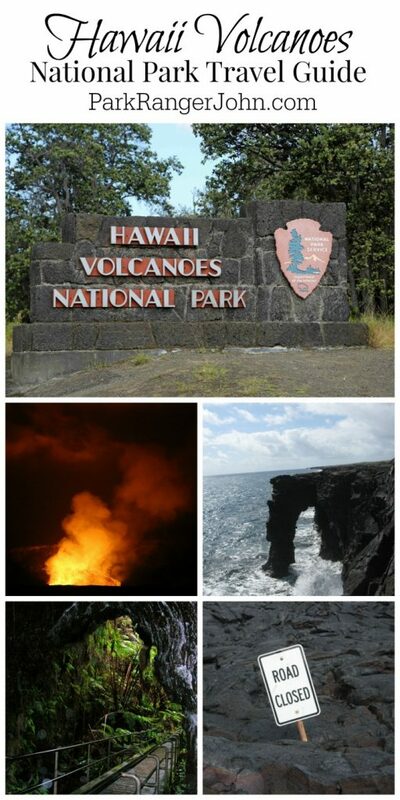 For more information on camping in Hawaii Volcanoes National Park visit this page. Hawai’i Volcanoes Lodge Company operates rustic camper cabins and the campsites at the Nāmakanipaio campground. The cabins sleep 4 (1 double bed and 2 bunk-style twin beds). Each cabin has a picnic table, an outdoor barbecue grill and an outdoor firepit. Reservations are required. 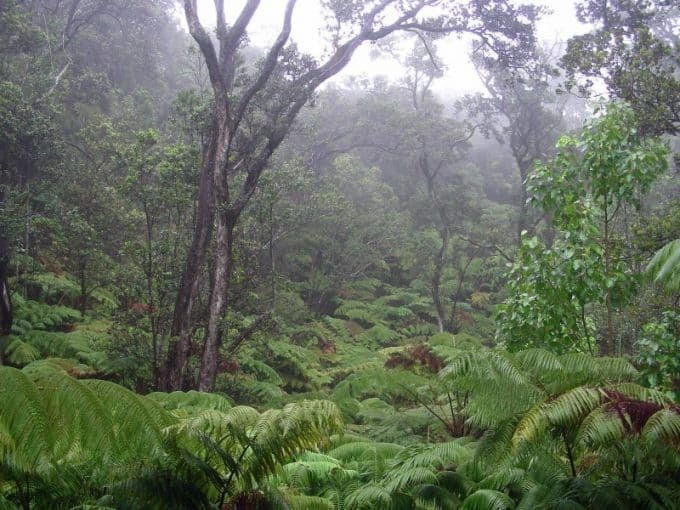 For more information please visit http://www.hawaiivolcanohouse.com/cabins-campsites/. Kīlauea Military Camp This recreational facility is for active duty and retired military, reservists, DoD civilians, families, and sponsored groups. Call 808-967-8333 or visit http://www. kmc-volcano.com/for more information. Is there a Junior Ranger Program at Hawaii Volcanoes National Park? Yes! Hawaii Volcanoes National Park offers a couple of different Junior Ranger Programs. You can check out the programs ahead of your trip and print them from home if you would like. To learn more about the Hawaii Volcanoes Junior Ranger Program visit this page. Can I bring my Dog/Pet with me to Hawaii Volcanoes National Park? Pets are prohibited in all of the undeveloped areas of the Park. This includes all designated wilderness and all trails. Pets are allowed in developed areas of the park; including paved roadways, parking areas, and Namakanipaio Campground. However, please note: parking and camping areas are sites where the endangered nene goose frequent. The volcano has been erupting since 1983, adding about 500 acres of land and destroying 187 structures. Visit the FAQ page of the Volcanoes National Park to learn more about the volcano, current eruption, and historic facts about the park. Follow Hawaii Volcanoes National Park on Facebook.